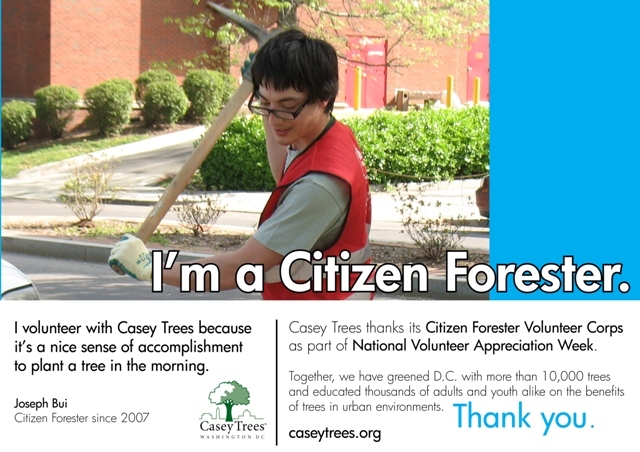 Today, we recognize Joseph Bui, a Casey Trees' Citizen Forester since 2007, as part of National Volunteer Appreciation Week. His first planting was at Murch Elementary School. These days, he mostly volunteers with Casey Trees as a Citizen Forester at weekday school plantings because of the way his job, with Convio, is structured. It allows him to take time off during the workday to volunteer.